Provides fast and safe clearing of toilet obstructions. Durable, kink-resistant, 1⁄2" (12.7 mm) compression-wrapped Inner Core Cable. K-3 Toilet Auger is rated 4.6 out of 5 by 22. Rated 5 out of 5 by bobk from rigid k-3 auger I needed the auger to unclog a badly clogged toilet , went to the store bought it and came back -had the toilet unclogged in about 60 seconds.Worth every penny! Wish I had it to begin with and would have saved an hour of aggravation trying to plunge it and cleaning up the floor from the overflow. Rated 5 out of 5 by DaddyBoss from K-3 Toilet Auger first time use it unclogged the toilet with astonishing ease. Great product, highly recommend. 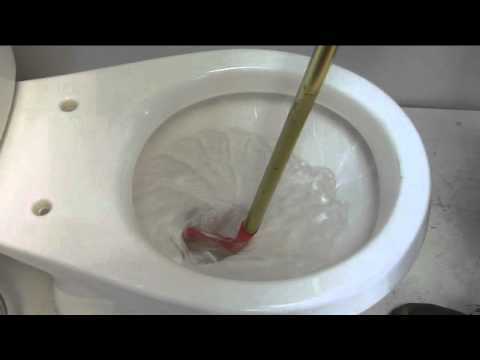 Rated 4 out of 5 by ivanrh75 from Excellent tool The drop head makes it easy to get passed the P trap in the toilet. This 6 foot Rigid toilet auger is a handy tool for any home owner. Rated 5 out of 5 by Bosanke from The auger was very effective at clearing the blockage. Instructions/suggestions for sanitary cleaning should be provided. PRO: The auger was very effective at clearing the blockage. Very easy to use. CON: Effective method to "flush" the equipment with clean water to remove debris internal to tubes is not provided. RECOMMENDATION: Instructions/suggestions for sanitary cleaning of the auger for the infrequent use by homeowner would be beneficial. Recommend modification to upper guide tube to permit a cleaning "purge hole" in order to flush tubes and auger out the bulb end. Caution when install and removing from toilet avoid contact of the bulb end with the toilet porcelain as it will leave a "pencil" mark on the porcelain under the water line which is hard to remove. 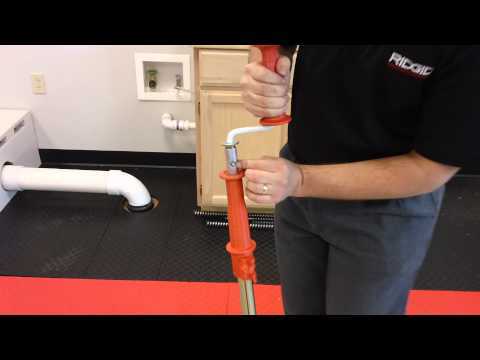 Thank you for choosing RIDGID. A drop head auger leads into down drain pipes, it is especially good for back-to-back mounted fixtures and severe bends. Any tips on cleaning the bulb head after it is used? 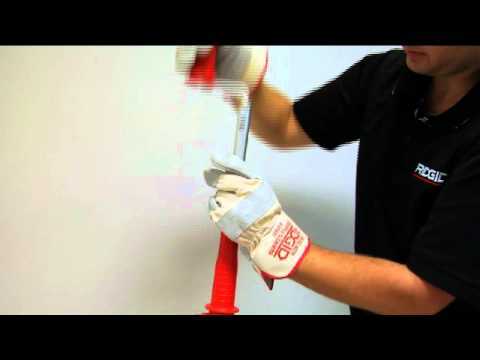 Thank you for contacting RIDGID. 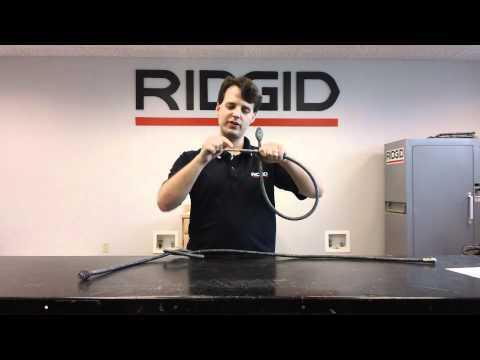 To clean the cable spray or rinse the end of the cable off with water, dry thoroughly, then coat the cable with any lubricant that has rust preventative properties.